It is no secret that the PWM3360 sensor is going to take a lot of 'good' existing mouse designs to that next level and the Revenger is no exception. It is comfortable, looks, feels fantastic and its performance is among the best currently out there. Though clearly based on the 500M design, there are improvements in the use of lighter, faster Omron switches. The 'premium pro-gaming' surface feels as awesome as it looks, while the lighting is that little bit different to help it stand out. At £50/$60, it is priced very competitively as there are few mice rocking the Pixart PWM3360 in the same price range, many are still rocking the older 3310 optical sensor. 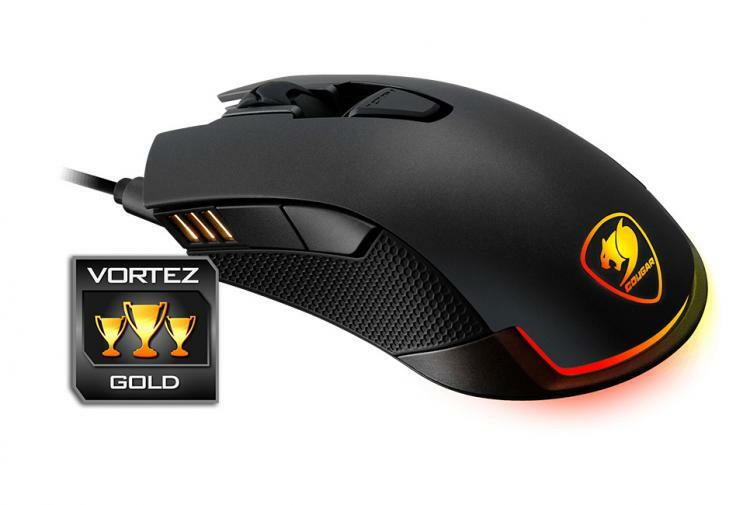 Though this will gradually change with more mice being introduced with the 3360 mouse, the Revenger represents amazing value. The only real fault I could find with the mouse is that the Trigger button requires a lot of effort to use. Should you wish to use it as an actual macro or command, just pulling back on it can reduce your accuracy. It would be nice to have this replaced with a more conventional button of some kind. Other than that, and that 'Revenger' sounds like a cheesy action movie, this mouse is one well-rounded product that you should keep your eye out for! The 'Revenger' may sound like a cheesy 80's action movie, but don't be fooled. It packs one of the most precise optical sensors available in a comfortable and attractive frame.